RAISES $20,000 for Huntsville Charities! The Rotary Club of Huntsville is an organization of business, professional, and community leaders committed to the ideal of service above self. We work together, through the shared values of integrity, goodwill, and fellowship to engage in humanitarian efforts to help those in need and create opportunities for a better future for generations who follow us. The primary mission of the Huntsville Rotary Club (HRC), as with that of Rotary International, is to engage in service to promote improvement in the happiness and well-being of people and to build bridges of understanding among the peoples of the world. The service takes many forms, such as projects that help meet the needs of members of the community, as well as international projects to assist people throughout the world. Local projects include helping students in the Huntsville school system embrace ethical values, the "I Like Me" book project to promote literacy, and the RYLA Youth leadership program for high school students. We provide food and supplies for housing insecure kids in Huntsville and food for the Good Shepherd Mission. We also plant trees and maintain Safety Town, which serves to help kids learn basic safety practices. The international projects include Rotary’s efforts to eradicate polio and to provide freshwater and medical supplies to people in Nicaragua who lack such resources, as well as swaddling blankets made by local Rotarians and which are given to a hospital in Nicaragua. Our international efforts also includes the Rotary Youth Exchange program, which enables teenagers to live abroad for a year so that they can learn about other cultures and build friendships with the people in those cultures. 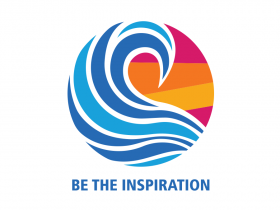 In order to accomplish these goals, the HRC seeks to build a membership of dedicated, professional individuals in the community who are dedicated to the mission of Rotary. These individuals work together to identify needs, both local and international, develop a plan of action to meet those needs through service projects, and bring together the people and resources necessary to accomplish these projects. The club seeks diversity in its membership in order to better represent and understand the needs of the community, and to provide a variety of perspectives necessary to address those needs. By meeting weekly and working together to help our community and the world, the club members develop a sense of camaraderie which helps to build bonds of friendship that strengthen our community and our relationship with fellow Rotarians and peoples throughout the world. In order to accomplish its service projects, the HRC engages in fundraising activities that are necessary to finance its projects. Accordingly, fundraising activities, which include dues and donations from club members, procurement of Rotary grants, and community fundraising projects, are a critically important component of the club efforts because they enable the mission of Rotary to be accomplished.? which is an organization of 1.2 million business, professional, and community leaders who unite worldwide to provide humanitarian service to others, we strive to improve the health of people, support education, and eliminate poverty by helping build goodwill and peace in the World and by providing assistance in these efforts. As we move ever so close to the eradication of polio, Rotary Clubs all over the world are preparing to celebrate this huge milestone. Please join us at our weekly meetings on Wednesdays at noon at the Gibbs Conference Center, 1402 19th Street, here in Huntsville.